I have recently been enthralled with traditions and rituals– ways to bring what I experience in my soul out into the real world, and ways to bring the real world in to meet me. My Lenten quest for this year was to bring more of a ritual nature into my daily living. One writer states that “Ritual,” in its essence and spelling, is the root of “Spi-ritual.” I’d have to say I agree. You can check out his awesome article here. Mindfully pursuing physical actions can help center us in the moment, and help us to be more open to the presence of God. Prayer being such a central part of my spiritual journey, I love learning about new ways to pray. I’ve always been sad that pretty much every other belief system dutifully utilizes prayer beads– and mine doesn’t! Catholics have beautiful rosaries, Hindus and Buddhists utilize Mala beads, Muslims love their Misbaha. 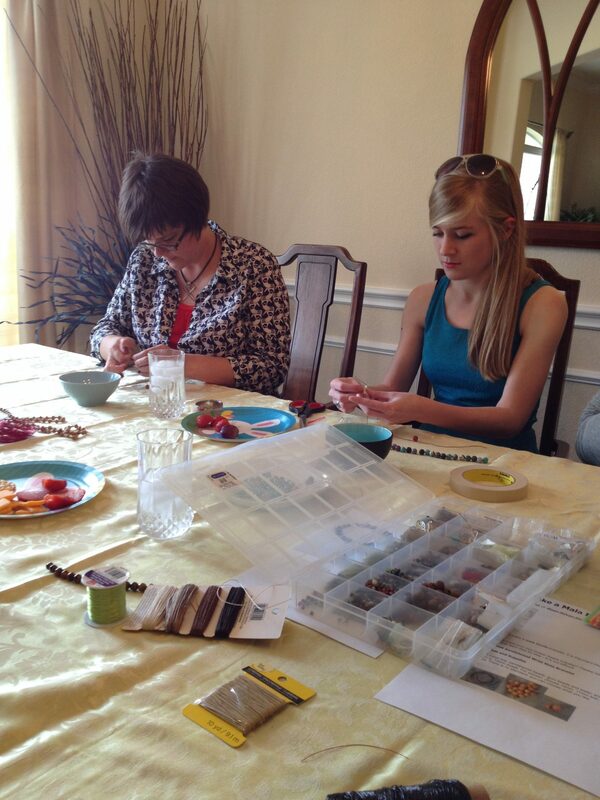 Last weekend, I had the privilege of creating my own prayer beads! 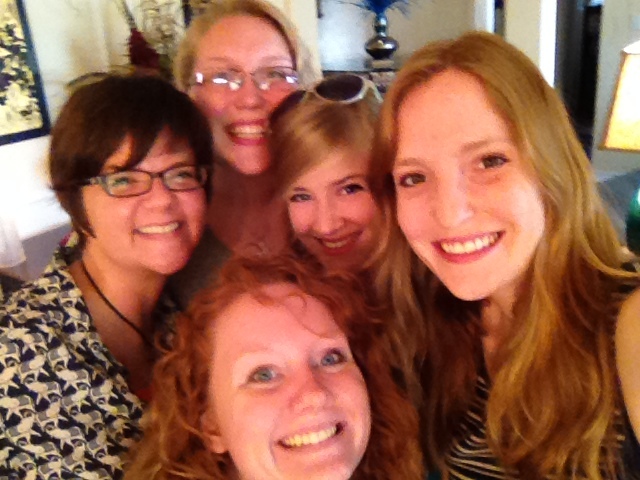 As an end-of-the-year celebration for my spiritual disciplines group, we all got together at our leader’s beautiful home to create and bless our new tools for prayer. Anyway, Stephanie was inspired by the prayer beads she acquired in a temple in India (she literally has been everywhere) and decided to lead us in making our own! She purchased all the beautiful supplies that she didn’t already have in her on-site studio, and let us create. 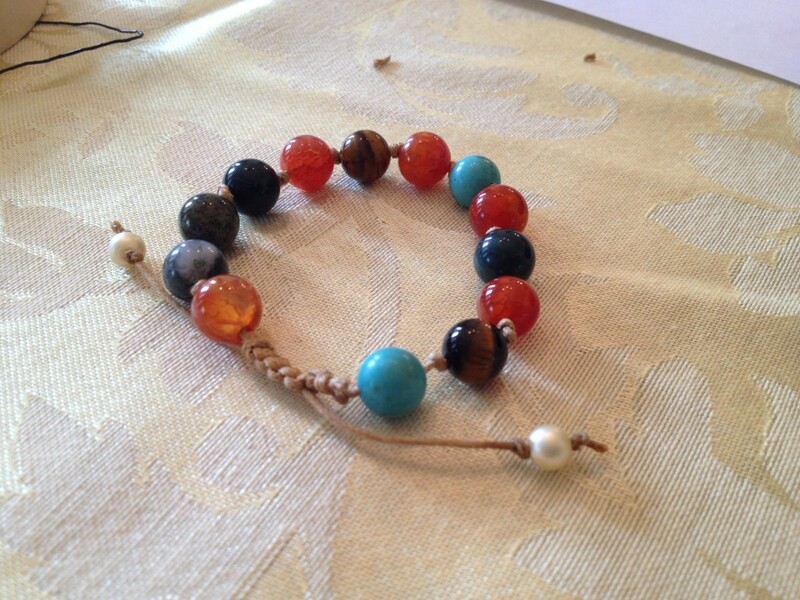 I love that we all chose a different twine to string our smooth stone beads on. We each strung a different color combination, and each used our own special technique. We all created incredibly unique works of art. One of my favorite moments of the afternoon was the blessing. 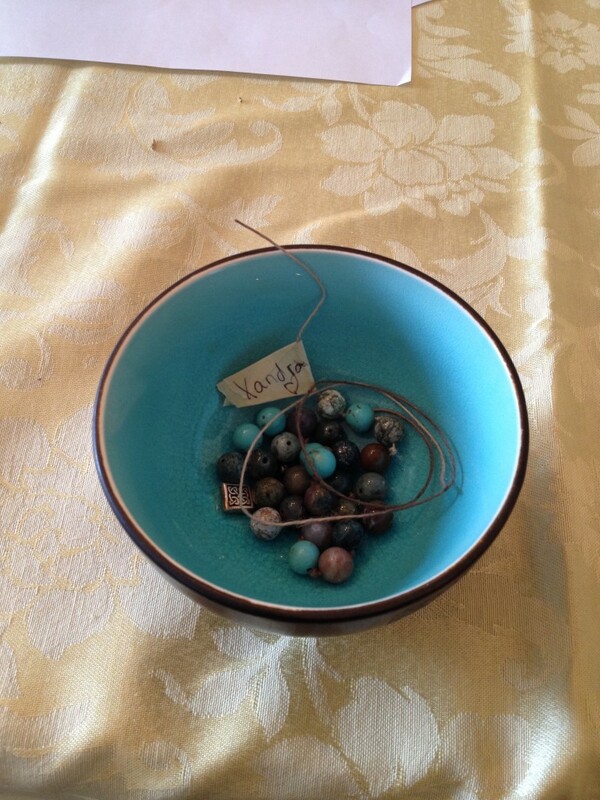 We each placed our half-finished bracelets in beautiful bowls with our remaining beads. We spent a few moments in silence, praying for the person represented by the bowl in our hands, and then passed each bowl along. By the end of the blessing, we had prayed for each person in our little circle, and blessed the beads that they would wear out into the world. It was a beautiful way to say goodbye. Now, with my beads in hand, I simply have the challenge of figuring out how to use them! 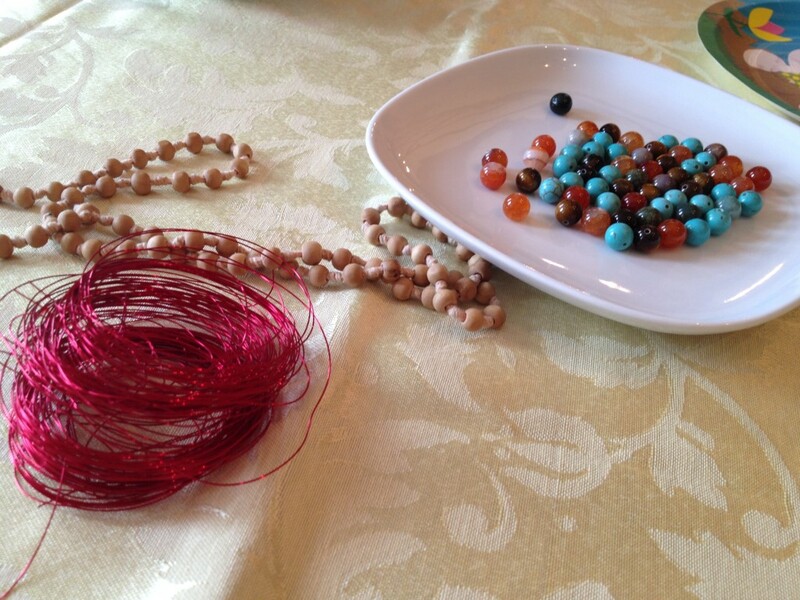 Stephanie gave me some ideas– say a mantra over each bead as it passes through your fingers. Repeat a specific prayer over each one. Pray for a different person with each bead you pass. Etc. etc. etc. If you’ve had any experience with prayer beads, or if you have a favorite mantra, let me know! I’d love to try it. I am excited to use these beads to help rejuvenate my lagging prayer life! P.S. The artwork above is a piece by one of our beautiful friends at the Wesley foundation– Amber Weist. Stephanie commissioned two of these works which now hang in her dining room. I am sobbing. Your words are an incredible gift. I continue to admire your knowledge and wit. How you bravely speak your thoughts and kindly care for others. You have a courageous feminine spirit always seeking understanding, ever asking questions. I have learned a great deal from you. I learn from all of you, and remain hopeful for generations that will sit and learn beside you – held in the crucible of wisdom found through experience. There is a strength in searching for meaning, and I am ever thankful that we walked together for this time.